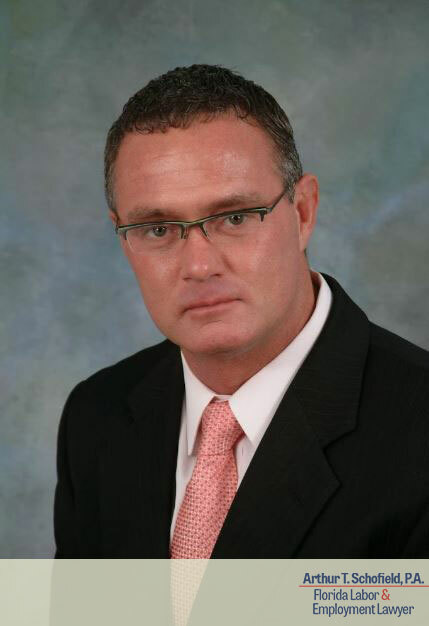 Mr. Schofield began his practice in 1993 after graduating from the University of Miami Law School in Miami, Florida. For the first 5 years of practice he worked under the tutelage and guidance of one of the preeminent civil rights attorneys in Florida. Those early years addressed a broad spectrum of civil rights claims from police misconduct, employment discrimination, housing discrimination, disability rights and educational rights. Mr. Schofield has been the principal of his own firm since 1999 specializing in labor and employment law. In his practice he has successfully prosecuted sexual harassment claims against Fortune 500 and smaller companies in both federal and state courts. Mr. Schofield has also brought suits against municipalities and other governmental entities throughout Florida for a myriad of civil rights violations. Mr. Schofield has also successfully prosecuted disability discrimination claims against the federal government, local governments and private and other public entities. These claims have been prosecuted in federal court, state court and through the federal claims process of the Equal Employment Opportunity Commission. The practice, while located in West Palm Beach, Florida, has handled cases as far south as Key West, far north as Jacksonville and throughout the east and west coasts of Florida. In addition, Mr. Schofield is a Florida Supreme Court Certified Circuit Court Mediator, and has experience mediating a wide variety of employment related disputes. He has been an active member of the Florida Chapter of National Employment Lawyers Association for more then ten years, has served its Board for six years and as its President from 2013 to 2014. He presently serves on the Ethics and Sanctions Committee of the National Employment Lawyers Association and as the President for Florida Rural Legal Services. And, lastly, identified as a Super Lawyer 2014, 2015 and 2016.